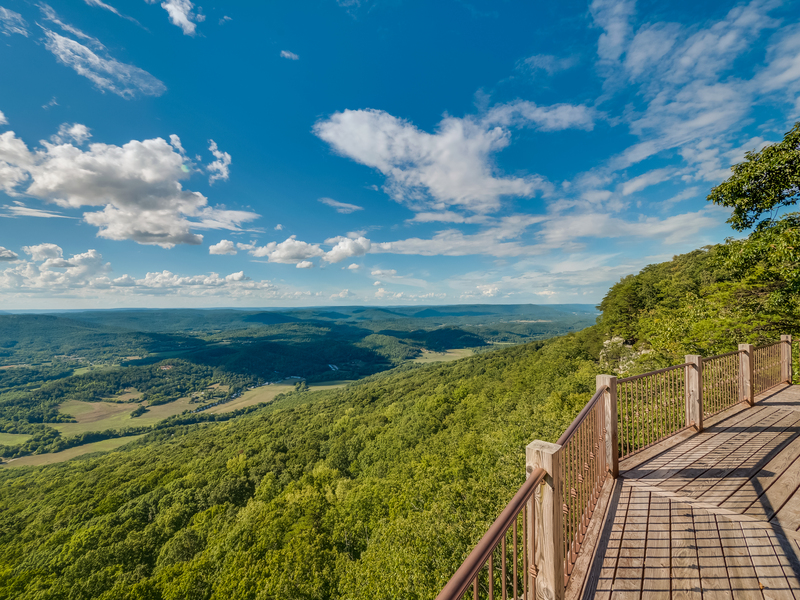 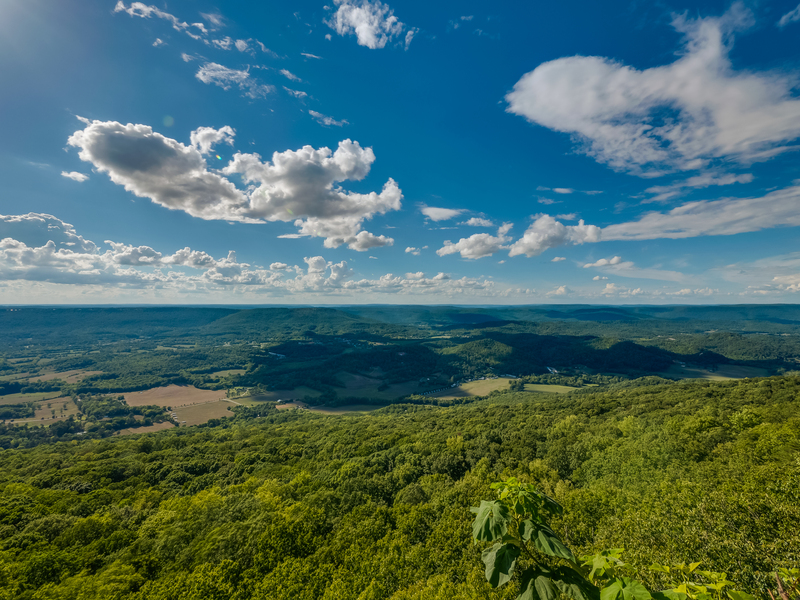 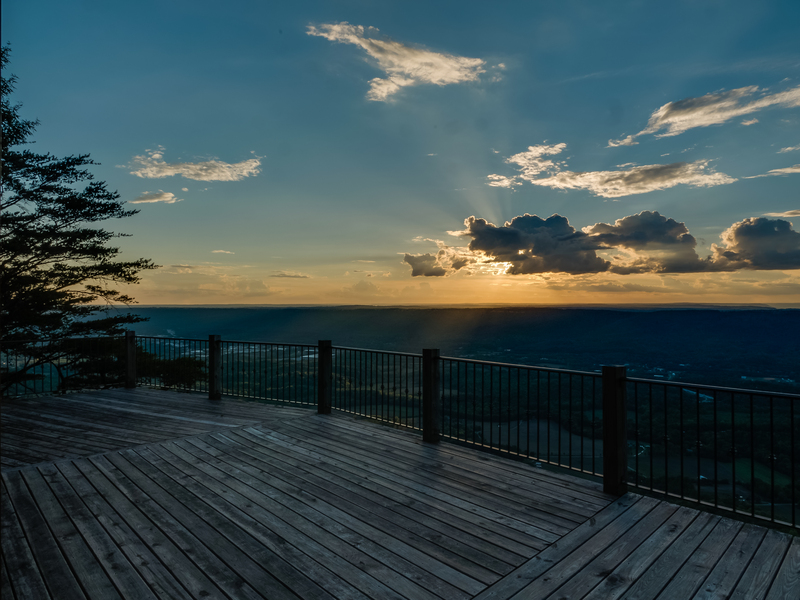 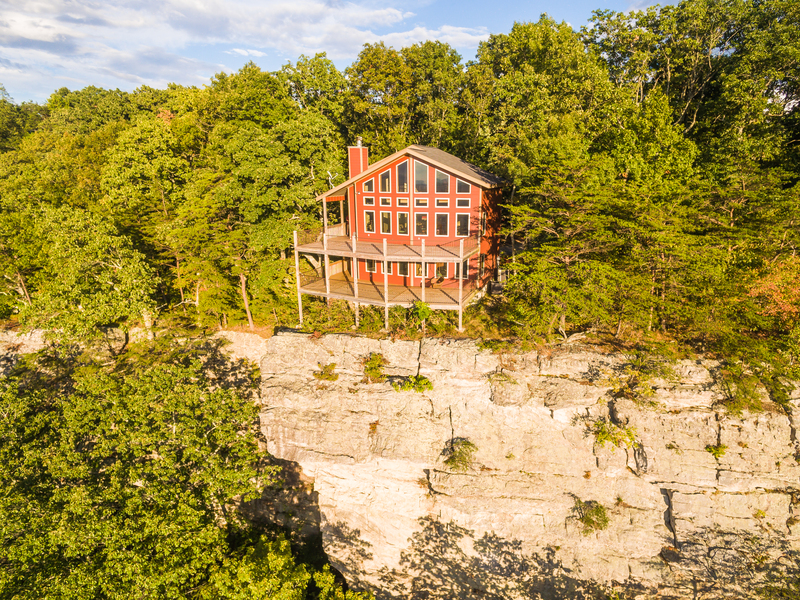 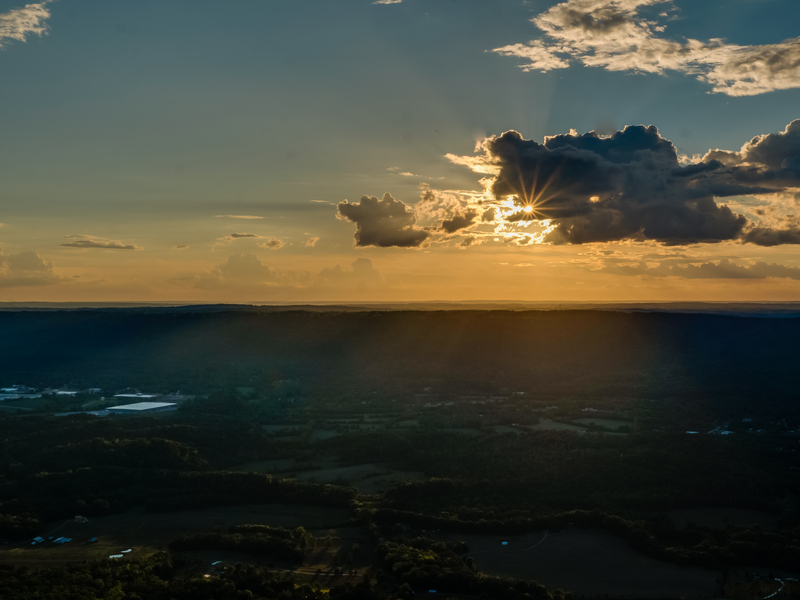 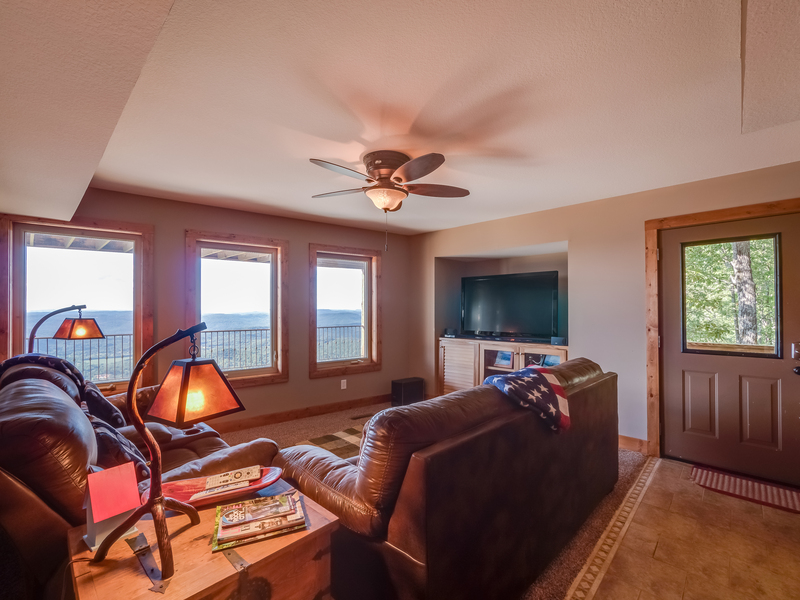 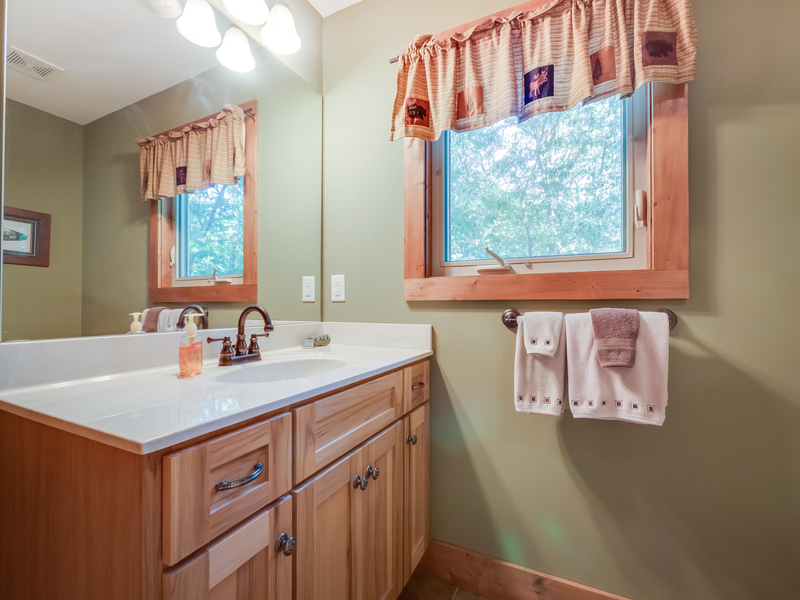 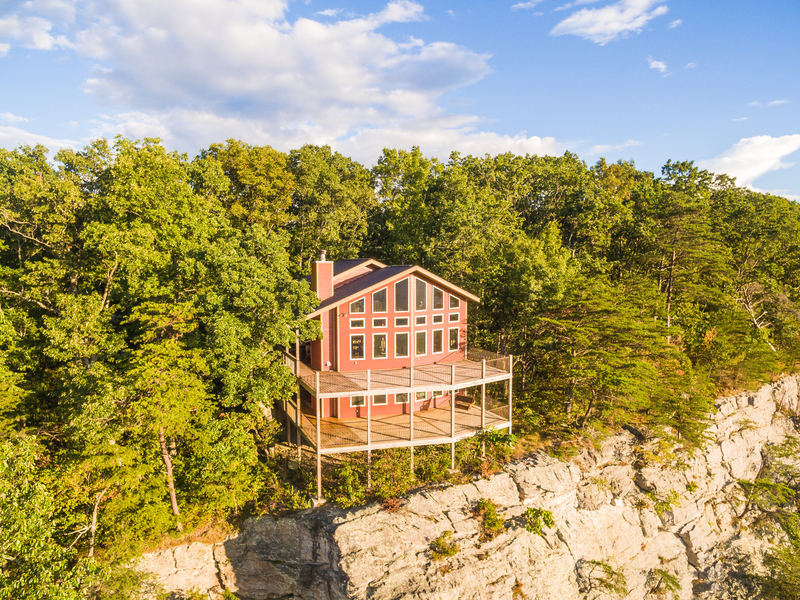 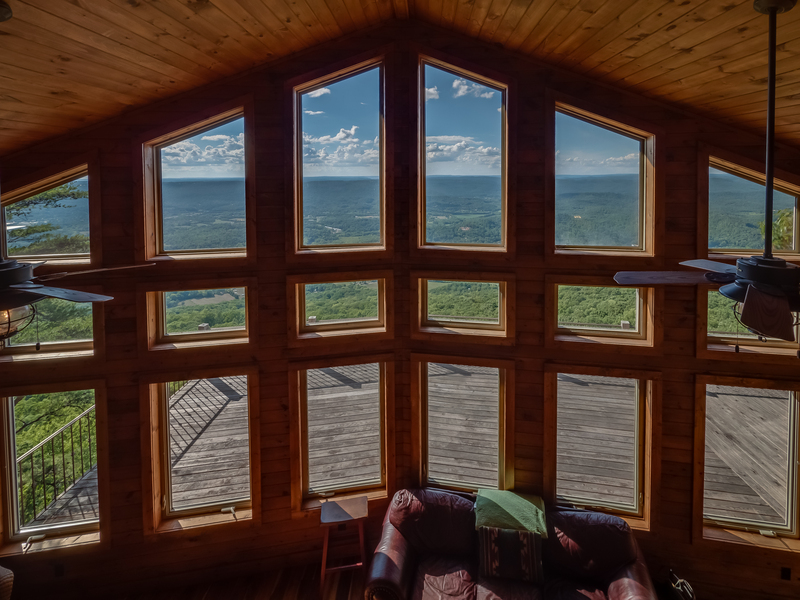 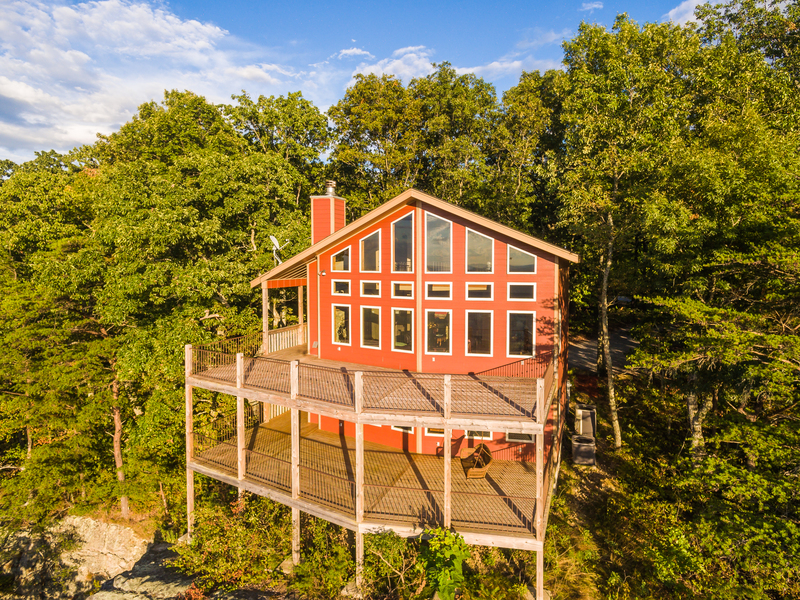 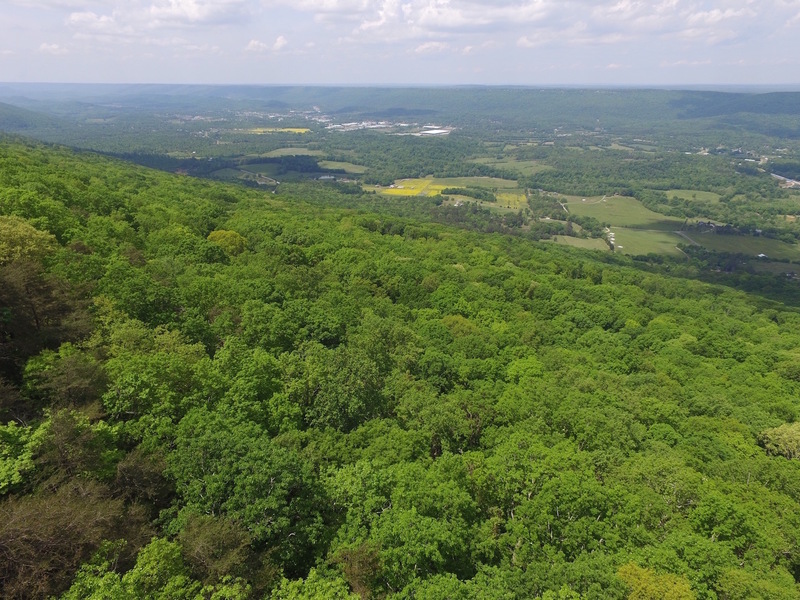 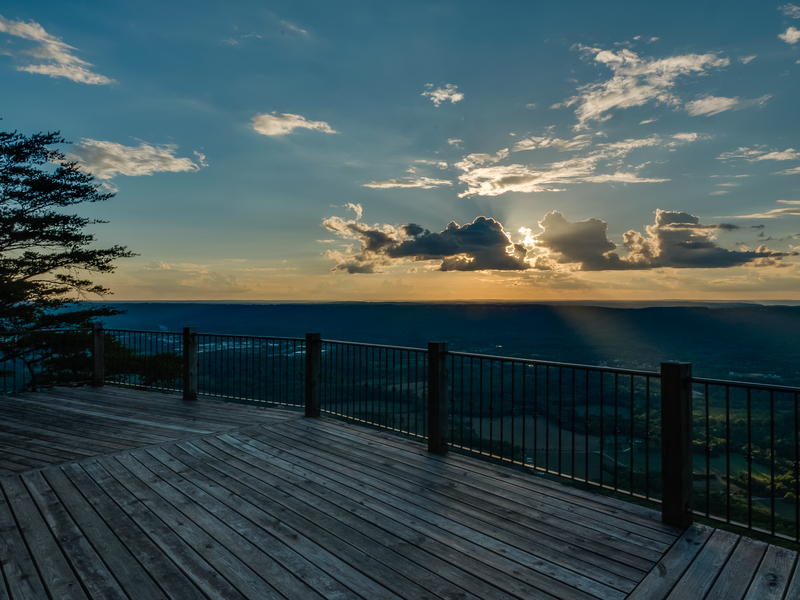 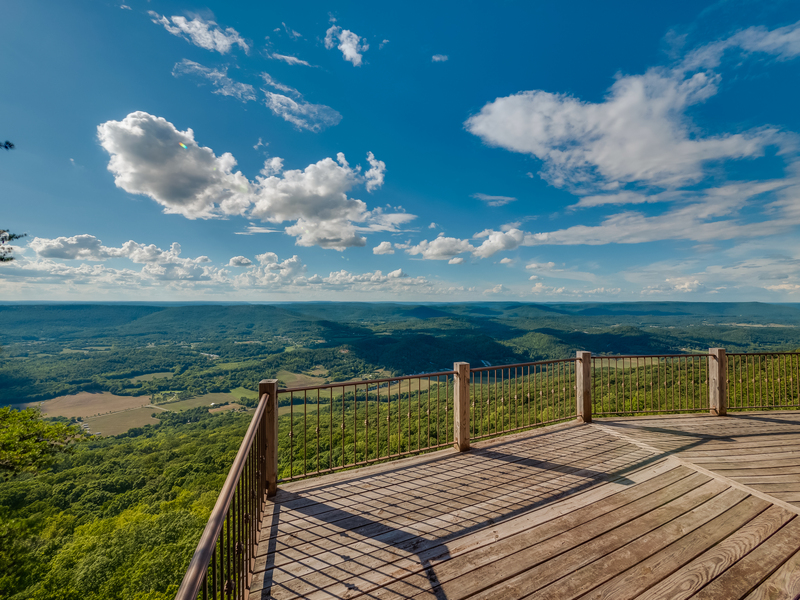 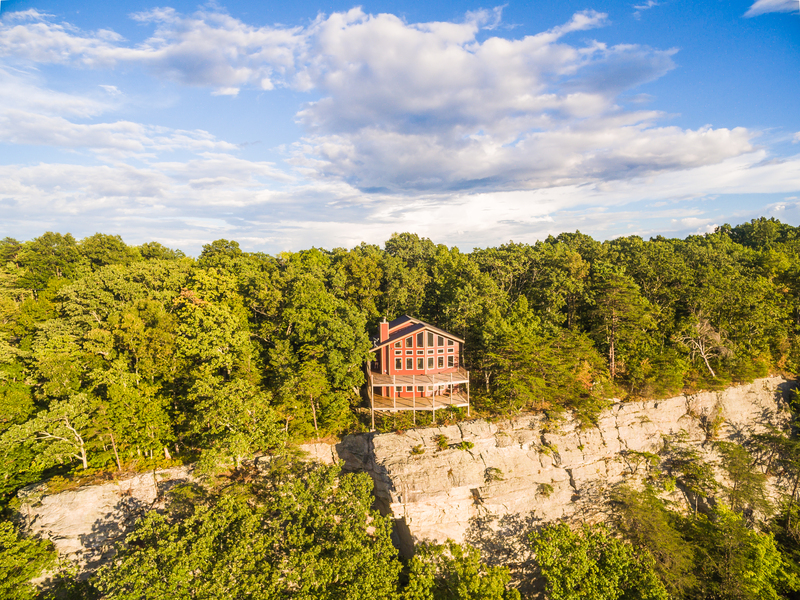 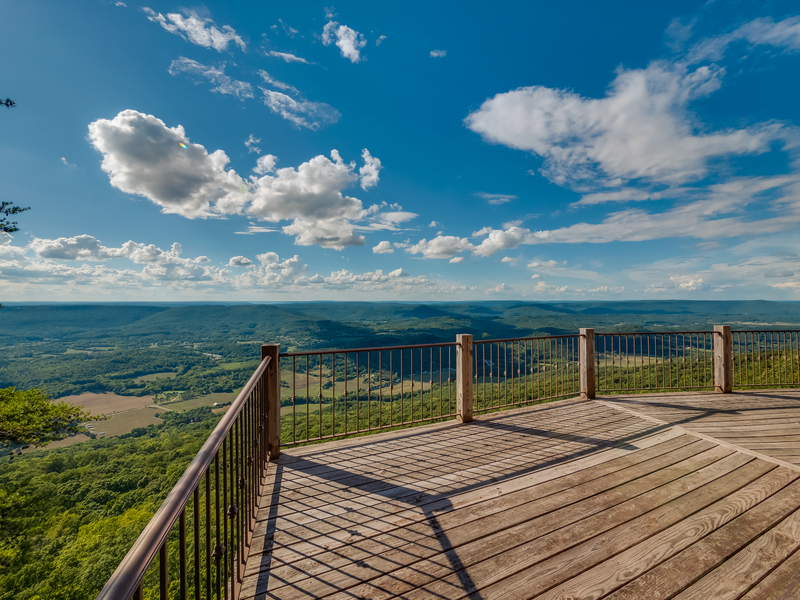 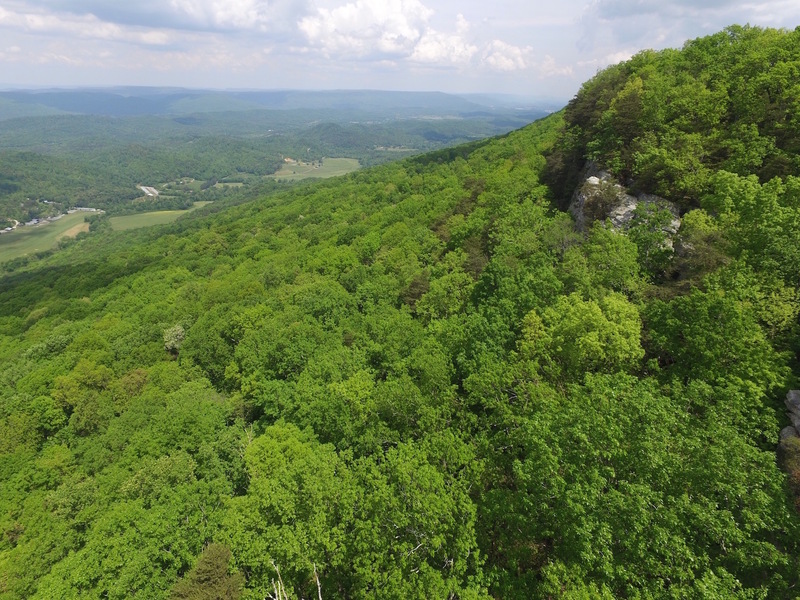 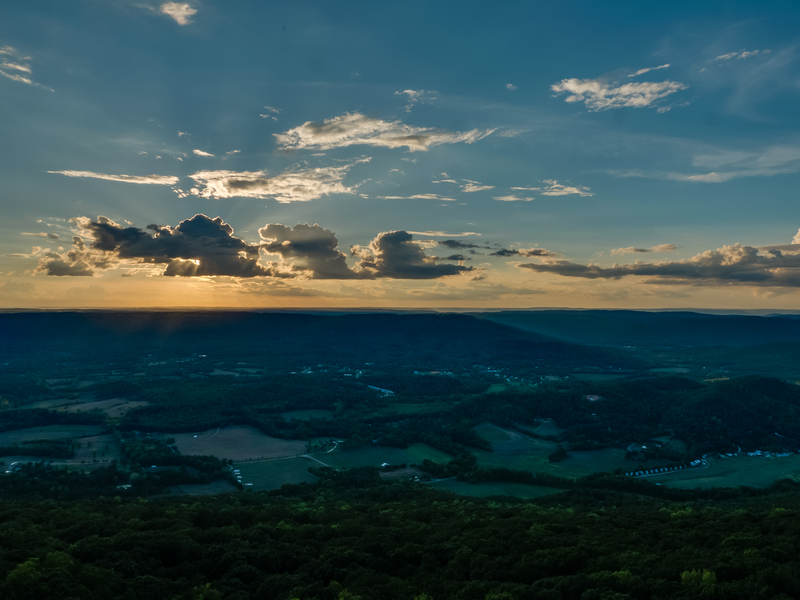 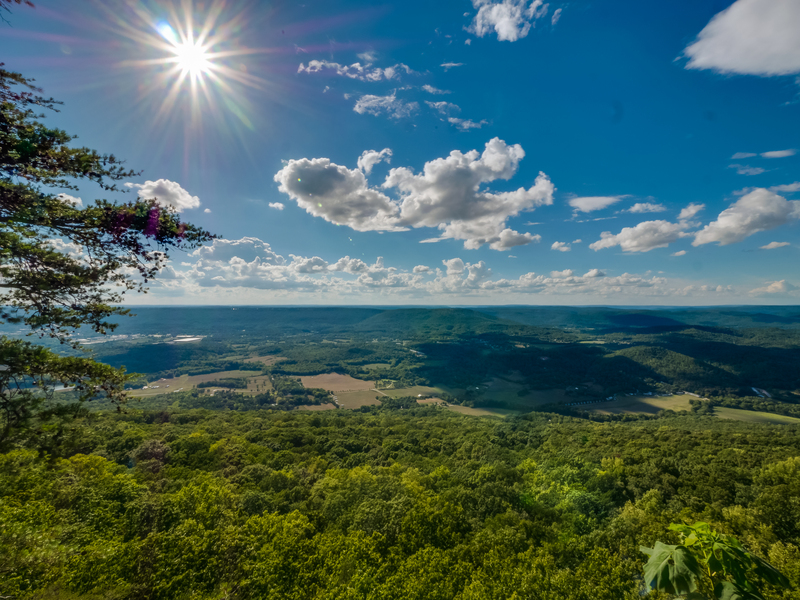 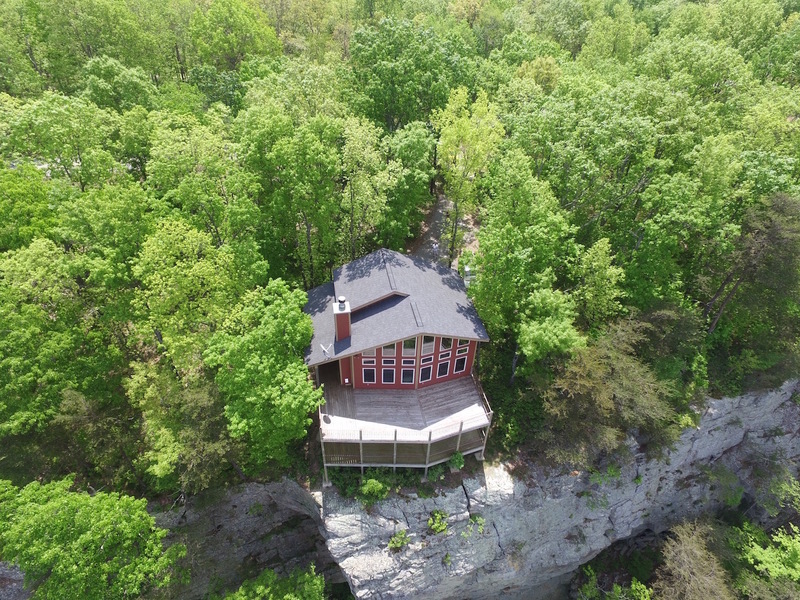 With a panoramic western view from Lookout Mountain, Stone Ledge Cabin sleeps up to seven with two bathrooms, a full sized washer and dryer, and well appointed kitchen. 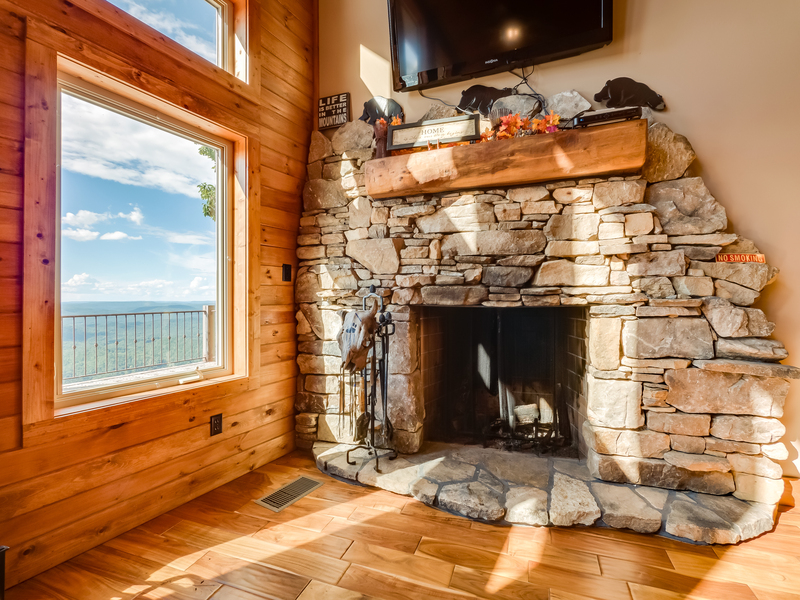 The stacked stone fireplace and televisions will keep you occupied indoors or you can venture out to one of Chattanooga's many area attractions. 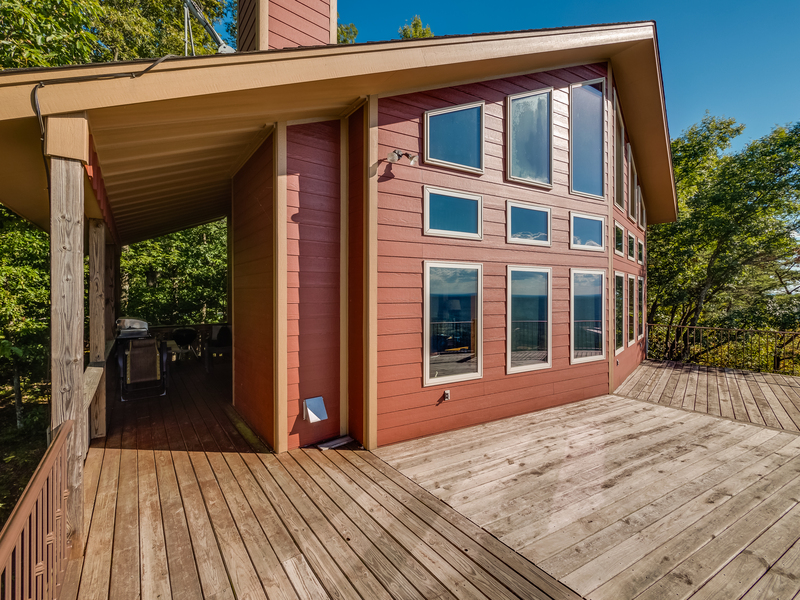 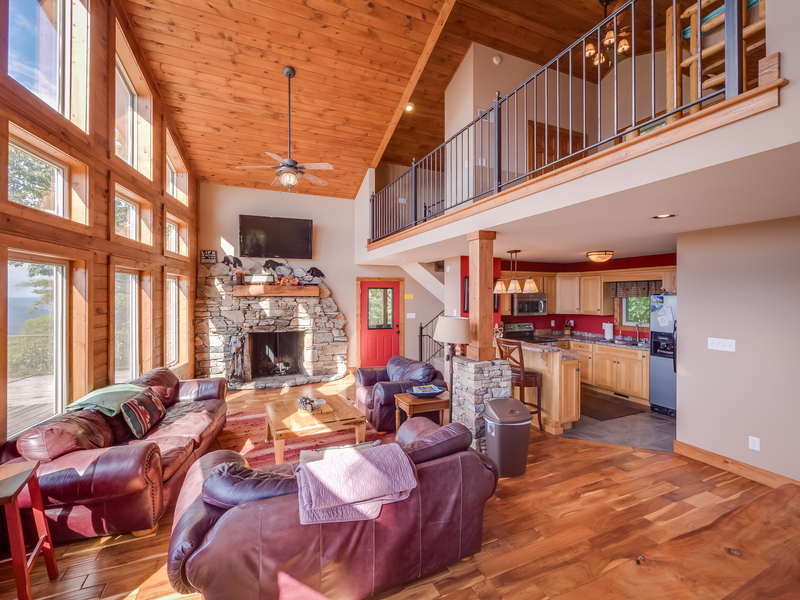 This three level cabin has one (1) master bedroom with a queen sized bed on the lower level. 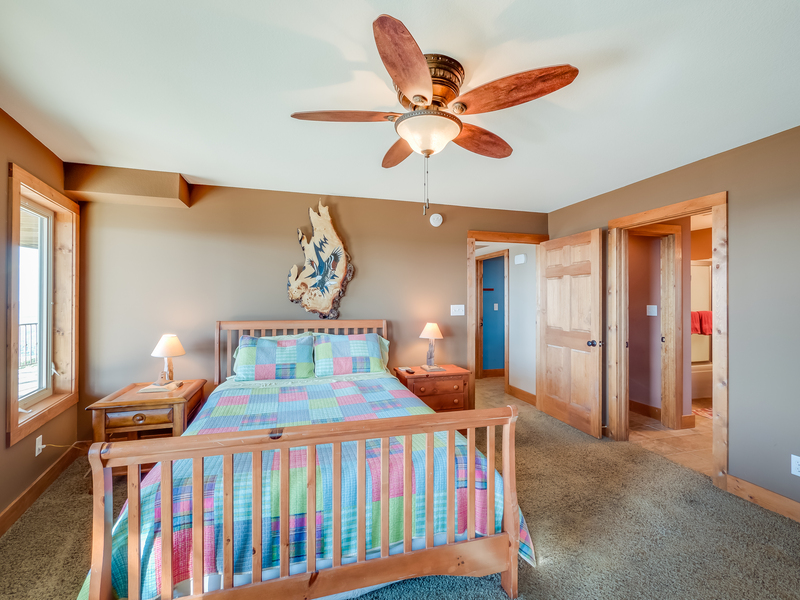 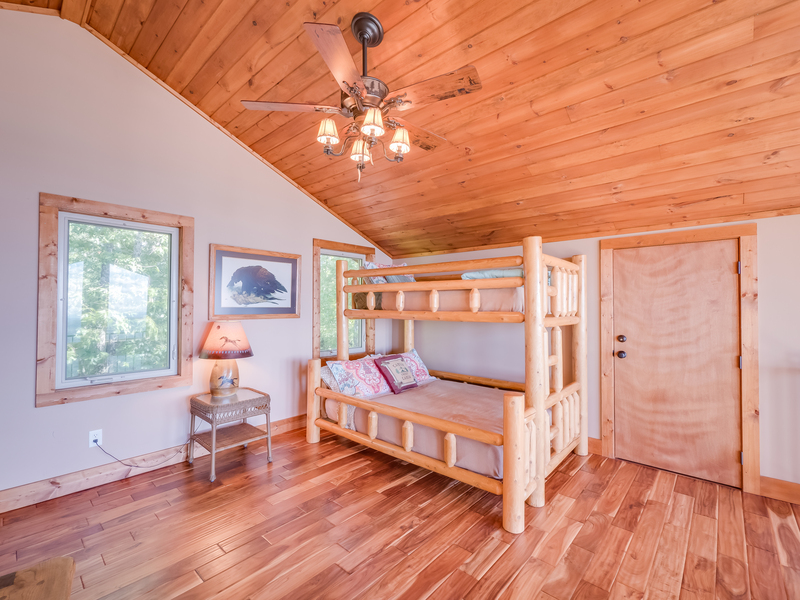 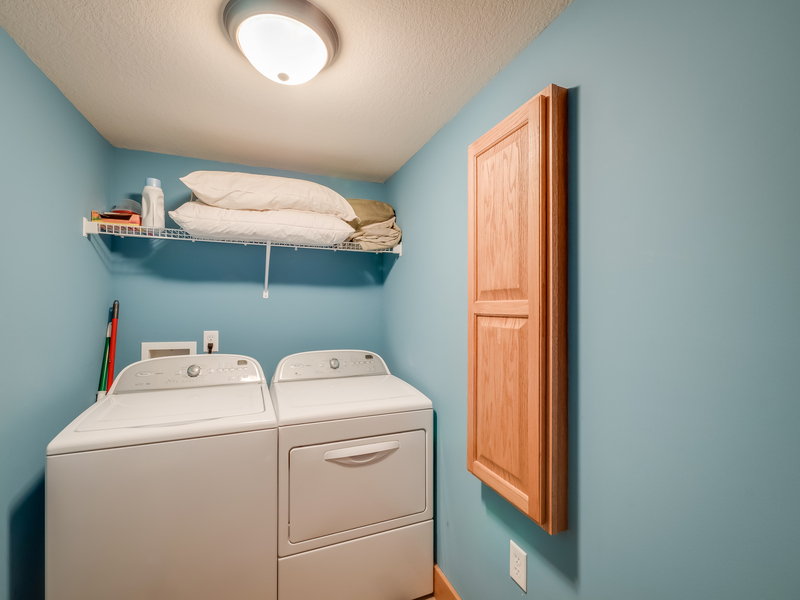 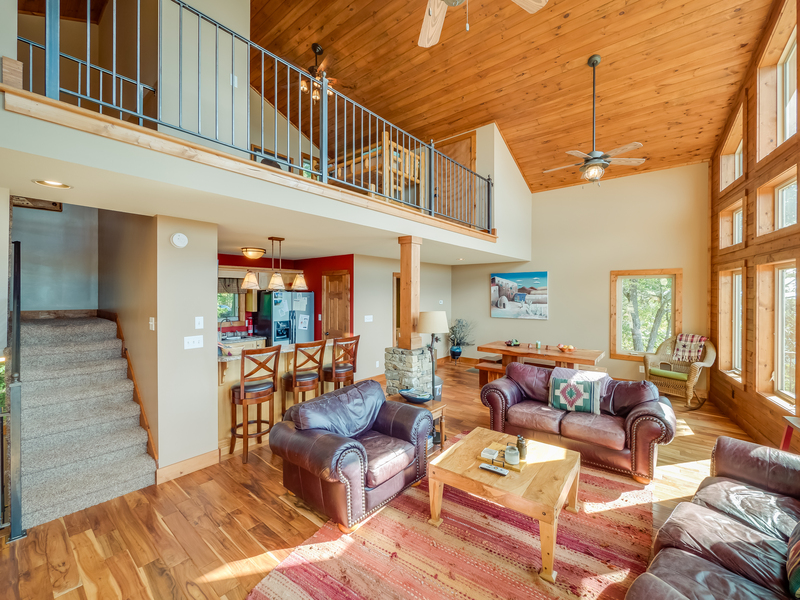 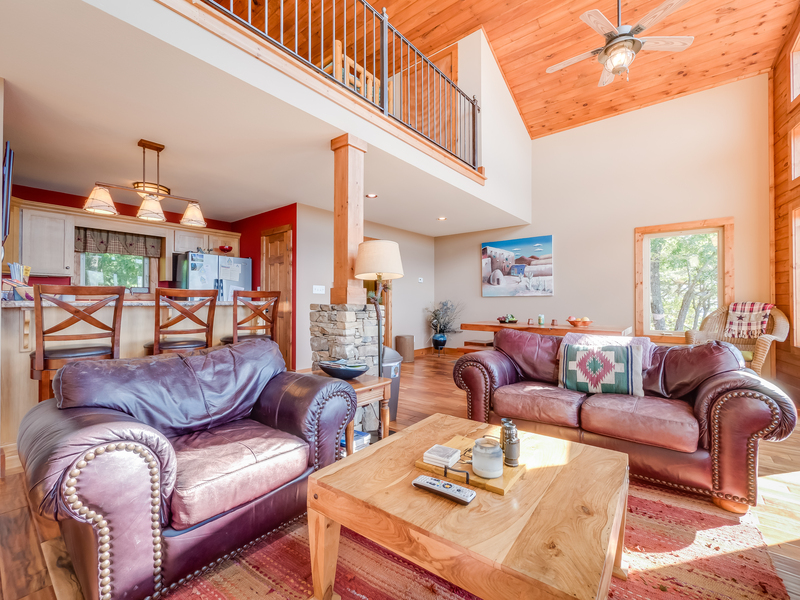 Additional sleeping is in common areas and include a full-sized bed/fold out couch, also on the lower level and a log bunk bed with a full sized bed below and twin on top is located in the upper level in the loft. 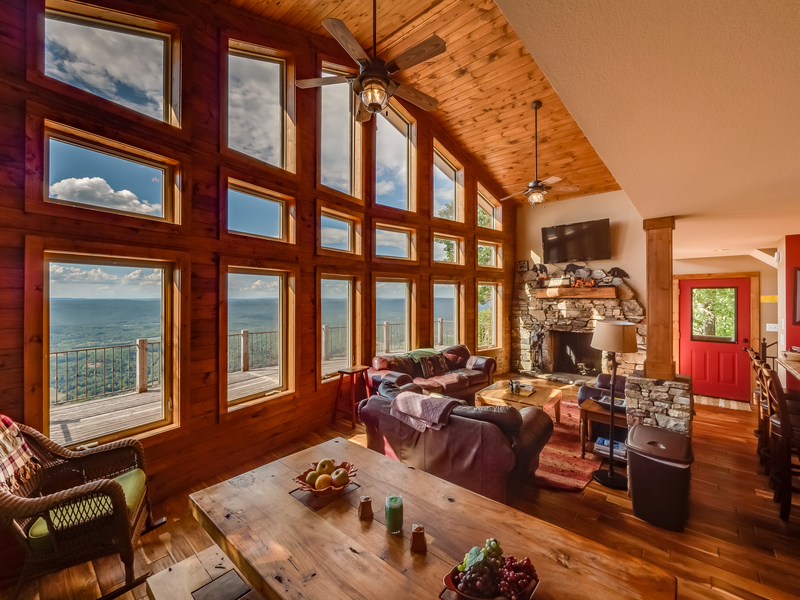 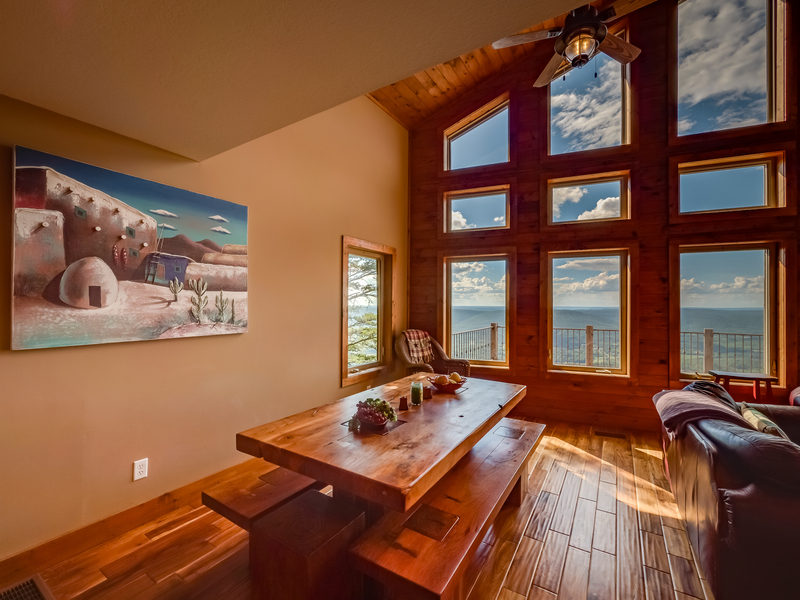 With a panoramic western views from the bluff of Lookout Mountain, this charming cabin has a spacious open floor plan on three levels. 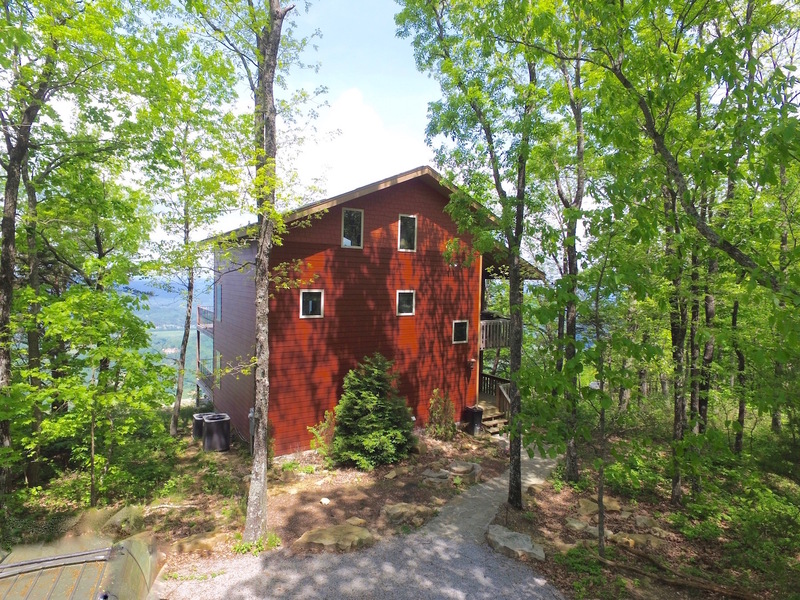 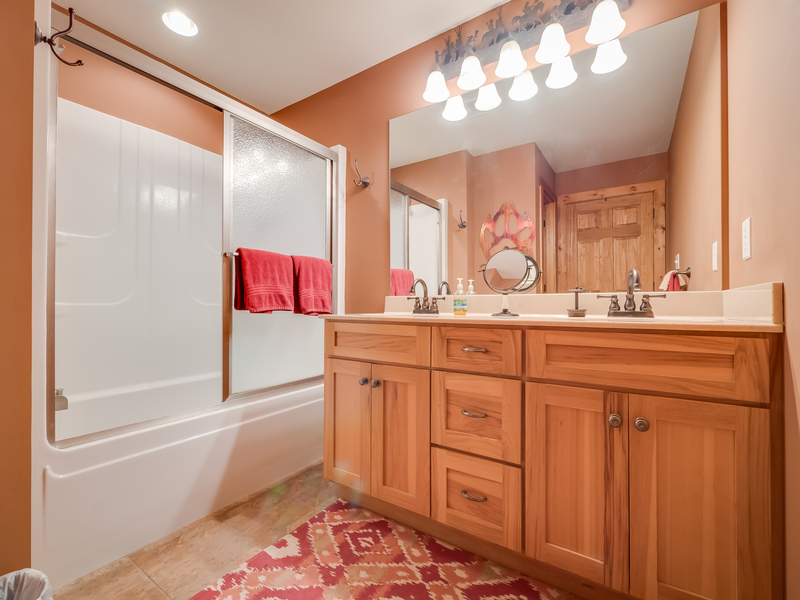 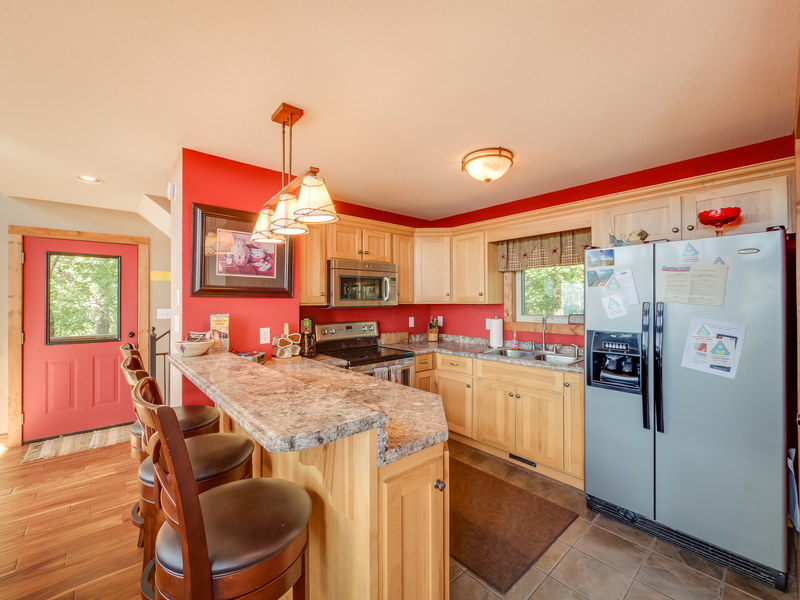 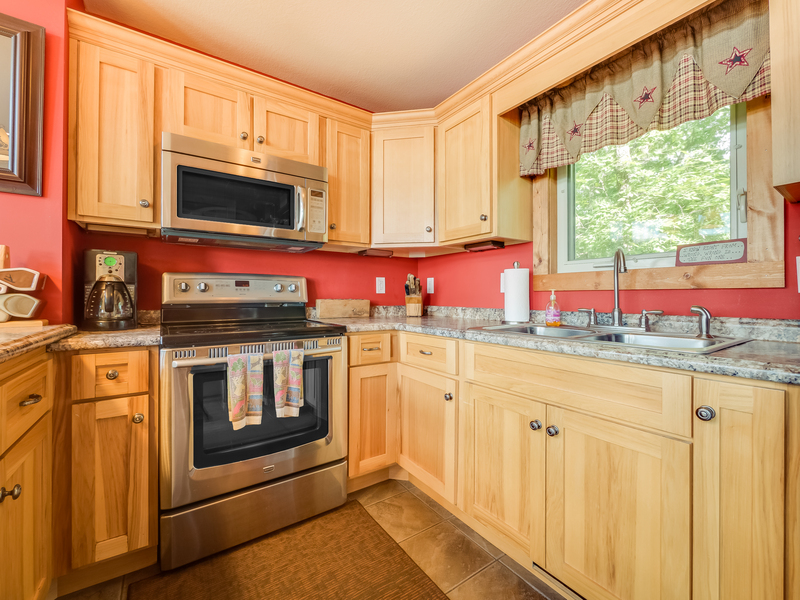 There are two large decks, a stacked stone fireplace, two baths and a well appointed kitchen and full sized washer and dryer. 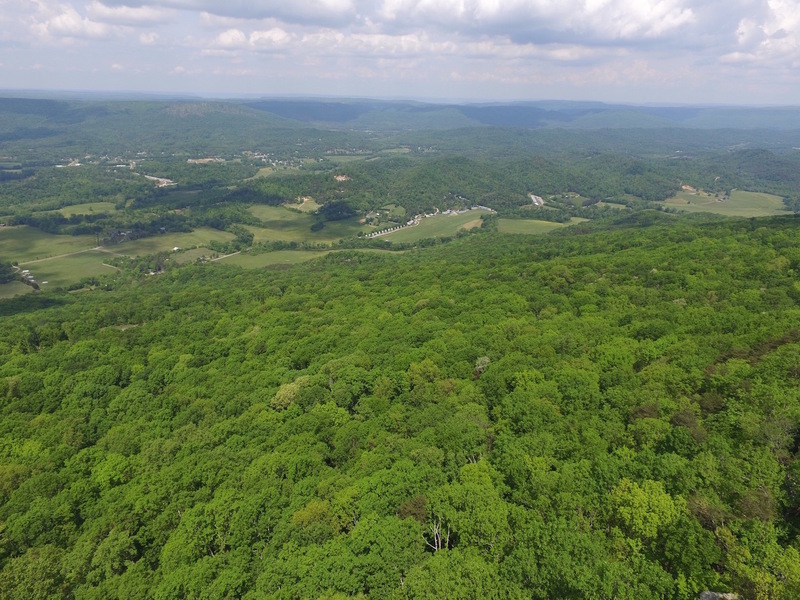 The land surrounding is wooded and the location is rural. 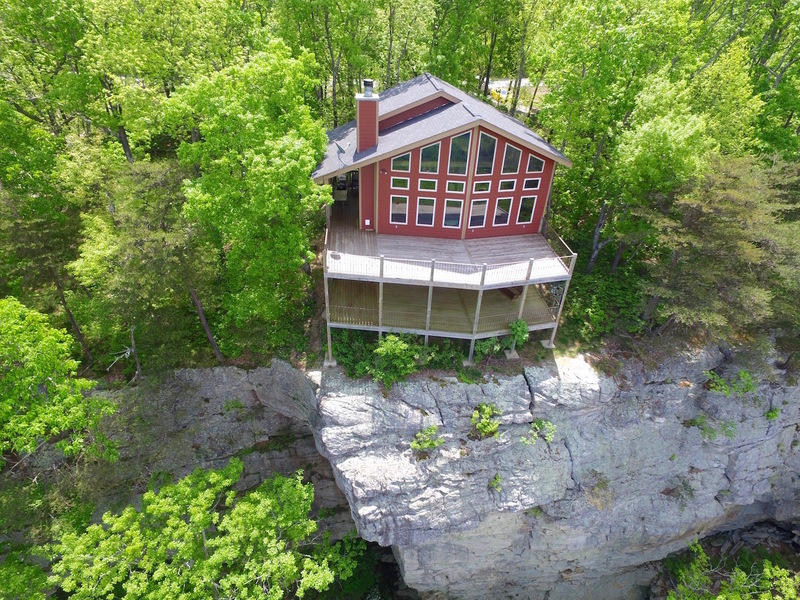 Stone ledge cabin is only 9 miles to Rock City and you can be in the heart of downtown at the Tennessee Aquarium in 14 miles. 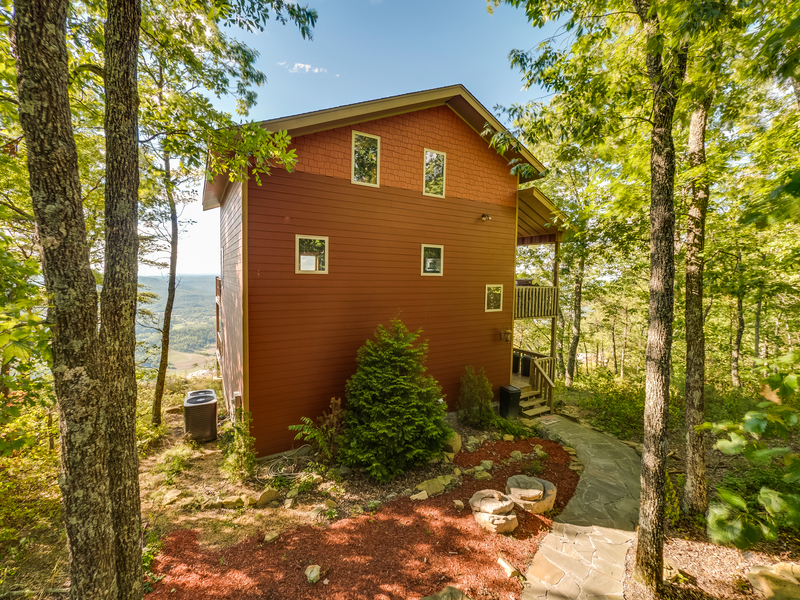 A great getaway for two couples or a family, Stone Ledge Cabin sleeps seven people comfortably and easy parking for at least three cars. 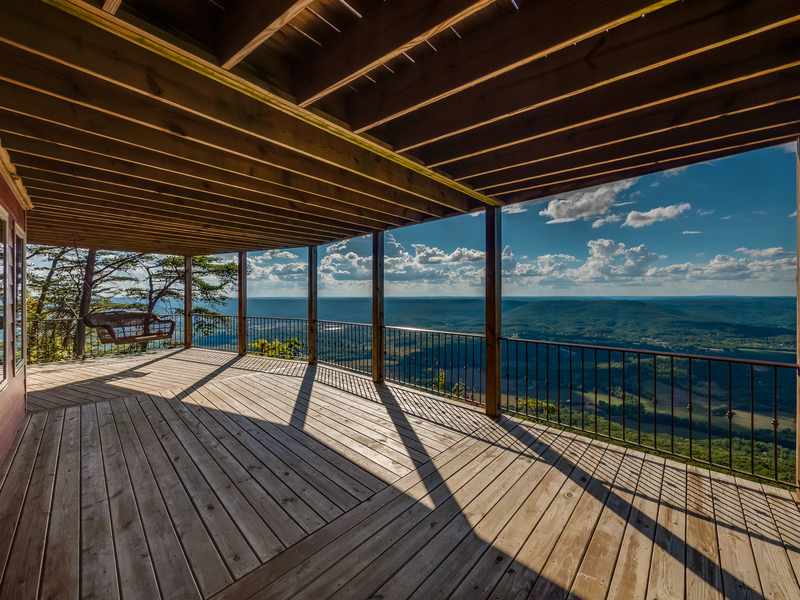 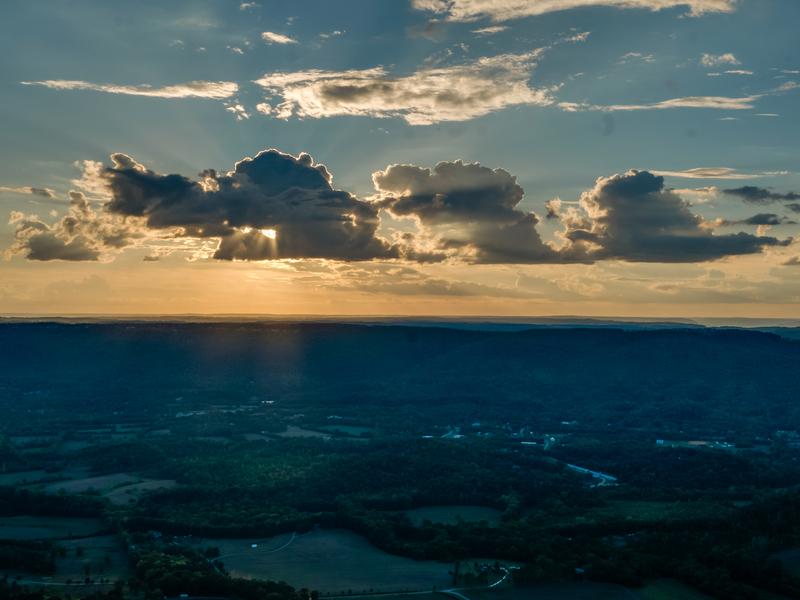 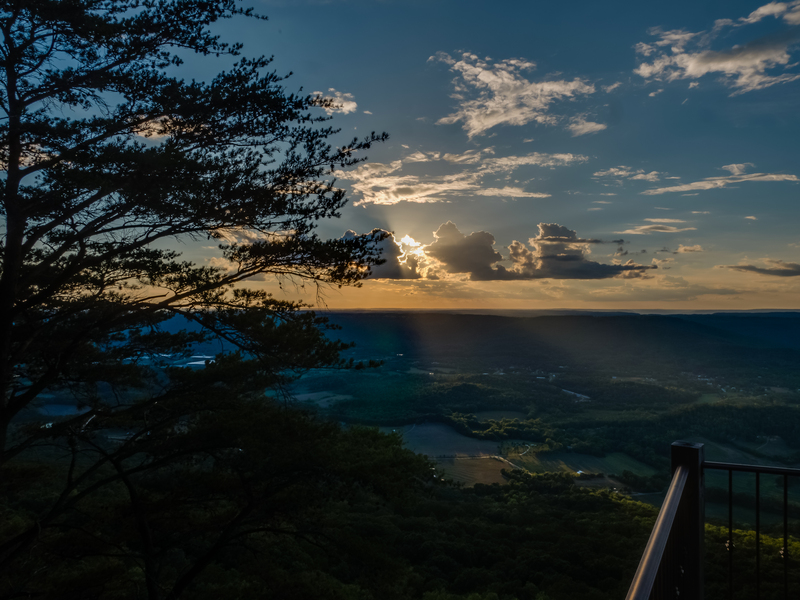 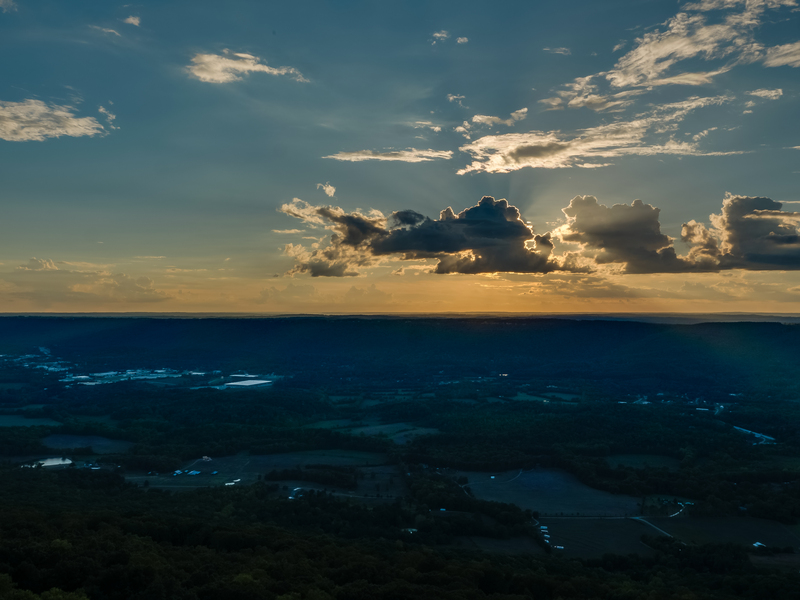 Plan today to get away to the mountains in Chattanooga. 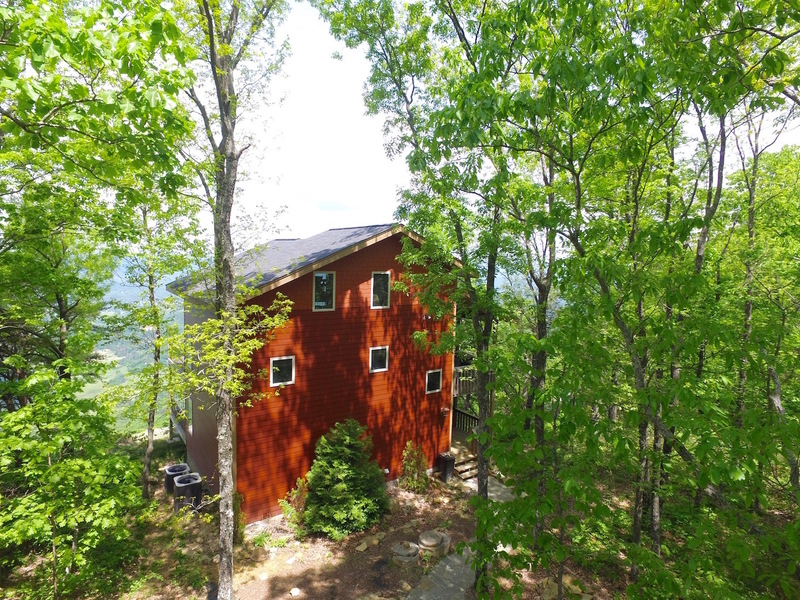 Full kitchen, outside dining table, Queen master bedroom, Two (2) additional sleeping areas, Log bunk bed with Full and twin in loft, Full sized fold out couch, Beautiful woods, 3 large TV’s (Dish), Sorry, no pets, no smoking, no internet.